NSW: Saturday – Kicking about the family tree – Family Wise Ltd.
Clive Talbot died in 2016 in London. His father was in the Royal Artillery during World War II but in his normal working life, was a wall and floor tiler. Clive’s mother worked as a restaurant waitress and Clive looked, on the face of it, to be an only child. However, this was not the case. His mother had previously married Francis Jardine Wallace, who was a professional footballer….. and Clive had a half-sister, Pamela, who was his sole heir. 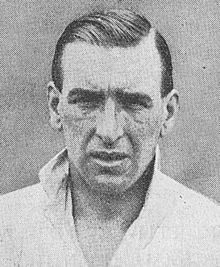 Frank (as he was known) was born in Dumfries in Scotland and played for Darlington from 1927-1931 making 43 appearances (according to Wikipedia) as an ‘inside left’. He was also with Queens Park Rangers (QPR) but did not ever play for their first team. Maurice Inglis passed away in East Anglia in 2017. He was the son of William “Bill” Inglis, a professional footballer. 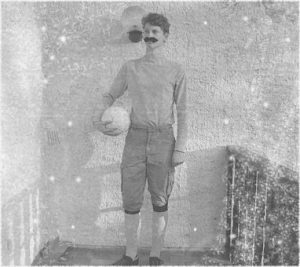 Bill played for a number of football league clubs, including Derby County, Watford, Reading and, most notably, his home town club, Newcastle United. When we contacted the grandchildren of Bill’s brother, James (who was killed at Dunkirk), they were delighted to find this out as they were all Newcastle fans. After his playing days ended, he had a spell in management with Cray Wanderers in the Kent League. This appears not to have been too successful, however, as the 1939 Register shows Bill was working as a boiler maker. 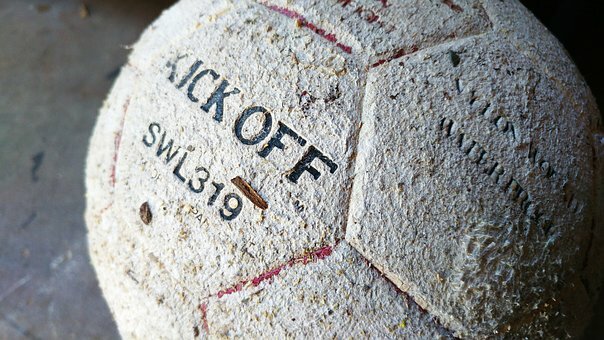 The football connection continued when we found one of Maurice’s first cousins once removed who had spent the eighties playing in what was then the Second Division for his home town club in East Yorkshire. Ronald Densham was born to a market trader and a postman in the middle of Birmingham in the early 1940s. He passed away last year in a care facility, and very sadly it appeared that his cousins had no idea he even existed. This is most likely because Ronald’s parents split up shortly after his birth. Ronald’s father, the postman lived in later years in a small cottage and with few visitors. When we contacted the wider Densham family, we discovered there were quite a few cousins. Yet again, in this family, there was someone with good pace and quick reactions, who was ‘kicking about the family tree’. This time it was Ronnie Bird, who played for Bradford City and later Cardiff City, changing hands for a four-figure sum in the mid-fifties. We were delighted to swap stories with his son, who came to visit our office in Wiltshire to learn more about the Densham family tree.